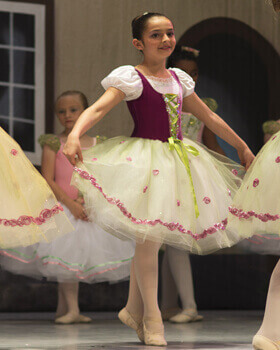 The Allen Civic Ballet is dedicated to providing affordable and enjoyable dance performances for audiences of all ages, while providing valuable experience for young dancers considering a career in the profession. Mother Ginger tells the story of the “Nutcracker”. 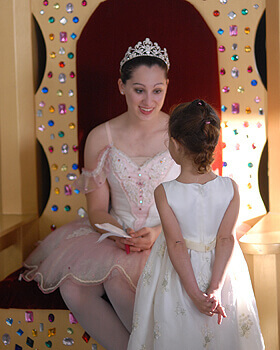 Afterwards, guests may sit with the Sugar Plum Fairy on her golden, jewel encrusted throne. Follow Clara as she saves the life of her Nutcracker Prince and is transported through the Snow Queen’s forest, where she is placed upon the throne by the Sugar Plum Fairy. The Allen Civic Ballet invites you to an exciting evening of classical and contemporary dance. Enjoy a free dance performance featuring classical and contemporary selections culminating in “Stupid Ballerina Tricks,” with a winner being selected by the audience. The Allen Conservatory of Dance is the official school of the Allen Civic Ballet. Membership in the Allen Civic Ballet is determined by open audition at the beginning of each season. The Allen Civic Ballet is a 501(c)3 non-profit organization. 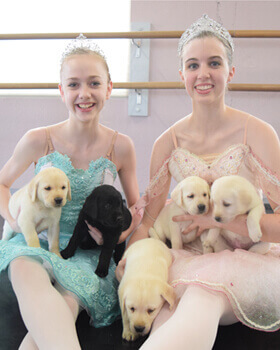 Donate,or volunteer — find out how you can help the Allen Civic Ballet.